Whether you're a keen camper, die-hard road tripper or staycation aficionado, here's how to ensure maximum taste with minimum effort. Jonai Farms' Tammi and Stuart Jonas, who raise rare-breed pigs and a small herd of cattle at their Egaston property just outside Daylesford, in central Victoria, love to hit the road with their three kids. In 2011 they spent four months driving from Washington DC to Oregon in a 1977 GMC motorhome. 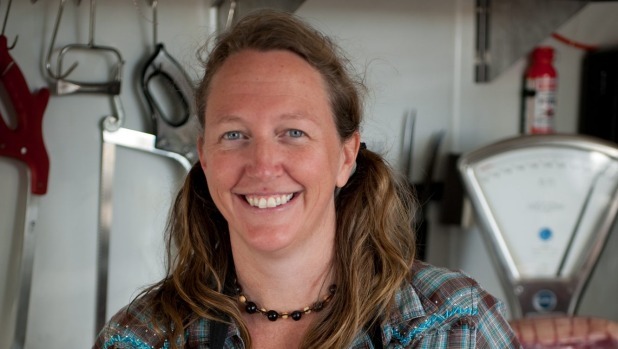 Despite the motorhome's built-in kitchen, American-born Tammi prefers to cook on a portable gas stove. "When we go 'cast-iron camping', my favourite thing is planning the next meal to cook outside – you're never the one stuck in the kitchen while everyone else is out having fun." Flying home to the US meant no room in the backpacks for cooking equipment, a problem solved by hitting up local op shops. 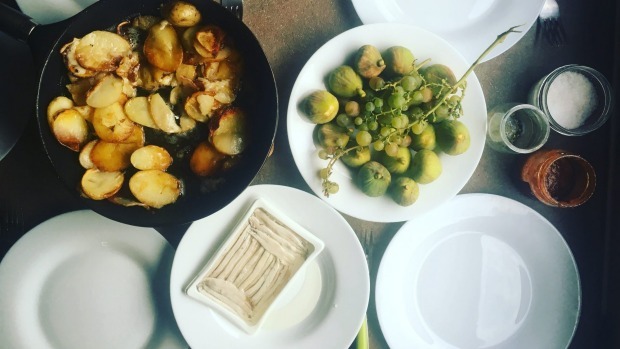 "If I've got a cast-iron pot, one knife and a wooden board to chop on, I'm happy," she says. Because motorhome fridges can fluctuate in temperature, Tammi recommends keeping an eye on perishables. "Cook fresh meat or fish the first night, then cured meats the next, beans, legumes and eggs after that." She says a wheel of brie can survive in an Esky for at least 10 days. Just cover it with a wet towel and keep it in the shade. 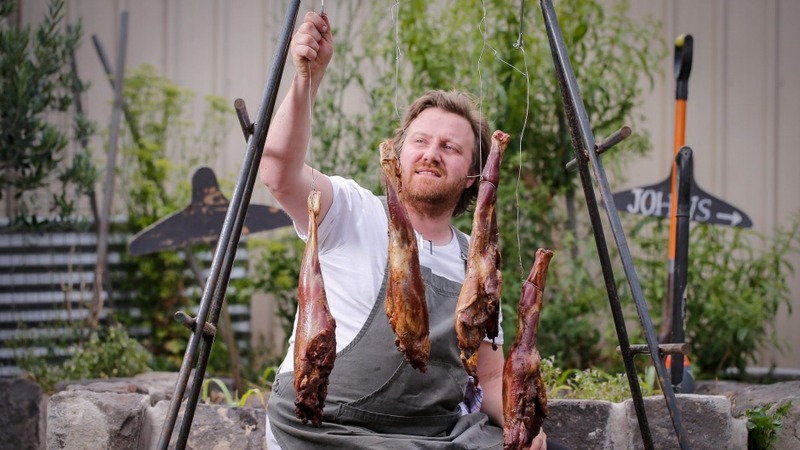 British-born chef Matt Wilkinson (of Melbourne's Pope Joan) fell for camping as a 13-year-old. "We didn't have a can opener; we just threw tins of baked beans straight into the fire. Of course they exploded everywhere … all over us, the tent. I guess from that point on I've always loved it," he says. These days he's more organised; at time of publication he'll be halfway between Brisbane and Melbourne with his sons, aged three and five, in tow and a kit of essentials to turn fresh produce from farm gates into a stellar feed. "I've always got good salt, chardonnay vinegar, a pepper grinder in my ration pack, plus a Microplane, a small chef's knife and an oyster shucker. Oh, and an axe, in case of any Wolf Creek-style situations or if you need to chop some firewood." He'll pack a double gas burner and a Le Creuset pot for one-pan meals and always has a back-up plan in case the fish aren't biting. "Some dried pasta, a can of tomatoes, bacon and an onion … presto, an instant meal." 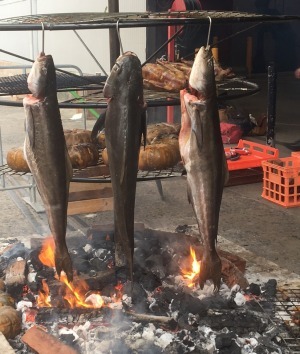 Booze is essential, Wilkinson says, for drinking and cooking, but fish grilling baskets are a waste of time: "Stuff a whole fish with whatever herbs and spices you can find, wrap it in baking paper then foil and chuck it straight onto the hot coals." 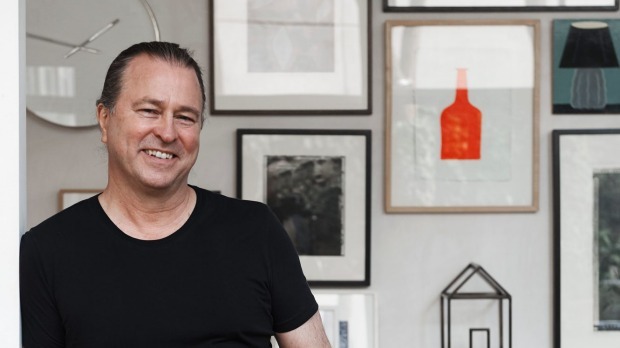 Celebrity chef and Qantas ambassador Neil Perry is no stranger to a long haul flight. He and his family escape the heat each January to a time-share apartment in Aspen, Colorado, for a little R&R. Perry doesn't travel anywhere without his knives, always safely tucked into a Pelican case in checked luggage. "Airlines do take a dim view if you're taking sharp instruments onto a plane," he says. He advises checking out the kitchen facilities before booking your own slice of paradise. "Ideally, you want a decent stove, and if it's summer, an outdoor barbecue … check for good pots and pans too – at least one big pot for boiling pasta, something big enough to put a roast on and a good-sized pan for pan-frying a fillet of fish or two." Location is a big factor – look for a holiday rental in a central spot that has easy access to shopping so you can pop down every day or to stock up on fresh, seasonal supplies. "You don't want to be lugging that all over town." 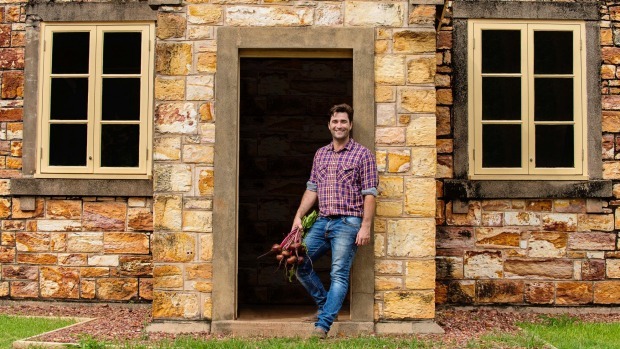 MasterChef runner-up, TV show host, chef and cookbook author Lynton Tapp grew up on a cattle farm in the Katherine region of the Northern Territory, so he's an expert at getting away from it all. As a youngster he'd spend weeks, sometimes months, sleeping in a swag on what he calls "stock camp", mustering cattle on farms that spanned thousands of acres and eating a lot of corned beef, potatoes and onions. "There'd be no running water, no toilets … I highly recommend bringing your own toilet paper and double check no one has set fire to the drop box before you sit on it." These days Tapp is more likely to be foraging down the coast than herding cattle. He recommends the field guide Wild Food Plants of Australia as a pictorial resource for foraging native Australian ingredients. "Australia has some of the best flora and fauna in the world. The supplies can be endless." If he had to head back to camp tomorrow? "I'd definitely sneak in a few more condiments as well as some dried yeast for making more interesting campfire breads. Oh, and I'm quite partial to a bit of chocolate as well." 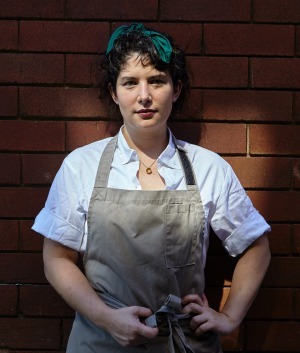 Analiese Gregory, head chef at Sydney's Bar Brose, recently cooked whole cobia and magpie geese from a five-tier rig that looked like a metal tree over coals at Sydney food and wine festival Rootstock (coming to the Melbourne Food and Wine Festival in 2017). You can do it too, if you have a mate who's handy with a soldering iron and a bit of space in your backyard; Gregory recommends at least two metres by two metres clear. Not into construction? "You just need a little platform to raise the food over the heat," Gregory says. She once borrowed oven racks from the kitchen stove to create an impromptu outdoor grill, "or get two nice, flat stones to place over the embers". If she's on her way to a friend's country cabin in Fitzroy Falls, NSW, Gregory brines or marinates meats before setting off. "Fire doesn't flavour meat all by itself, and it helps keep the moisture in." Cooking over fire is great for vegetables, too. She suggests throwing whole pumpkins, beetroot and corn into the embers as a meat-free alternative. Olive oil Because there's a 9/10 chance that the olive oil in your Airbnb is rancid. Spices Fill small snap lock bags with a few teaspoons of cumin, ras-el-hanout and garam masala to chuck into baked eggs or pasta dishes. Hot sauce When you don't feel like cooking, a few splashes of top-quality hot sauce will liven up small-town takeaway pizza in a flash. Citrus Lemons and limes make your gin and tonic sing while adding a flavour boost to grilled fish and lamb chops. Salt Chuck a small box of decent sea salt flakes into your bag; friends don't let friends use Home Brand table salt. Anchovies Big on flavour, small on packaging, a resealable jar of anchovies can add a touch of umami to multiple meals. Matches Because the stove clicker never works and you'll want to be able to set fire to a pile of logs at a moment's notice. Coffee gear Unless you've got a thing for International Roast, chuck a french press (plunger) and some ground coffee beans into your kit. Bottle opener Most wines have screw tops these days, but you don't want to be stuck opening vino with your shoe or a beer with your teeth. Move over chops and snags; green your outback barbecue with this recipe from Lynton Tapp's new cookbook Outback Pantry (Hardie Grant, RRP $39.99). Feel free to omit the anchovies for a vegetarian version. 1. Preheat a char-grill pan over high heat. 2. Remove any tough or broken outer leaves from the baby cos, then cut each lettuce in half lengthways. Evenly season all the cos with one tablespoon of the olive oil and the salt. 3. Place the cos, cut side down, onto the hot char-grill pan and, without turning, cook each cos until it has grill marks and starts to blacken. Remove the cos halves from the pan and set aside to cool slightly. 4. While the cos is cooling it's time to make the dressing. Roughly chop the capers and place into a small mixing bowl. Pour in the remaining two tablespoons of olive oil and the lemon juice, and mix gently with a fork to combine. 5. 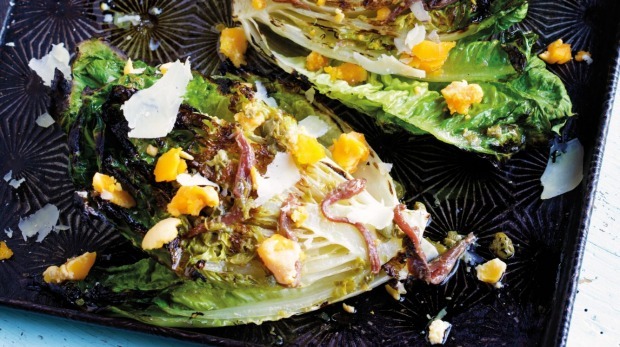 To serve, place the cos halves on a serving tray and drizzle with the caper dressing. Finally, top with anchovies, chopped boiled egg yolks and shaved parmesan.